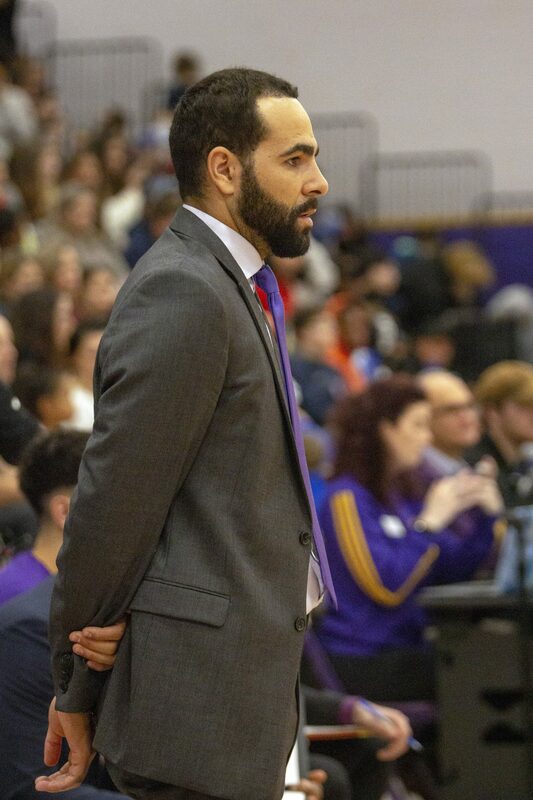 Wilfrid Laurier University’s men’s varsity basketball head coach Justin Serresse coached Team Red to a victory at the Biosteel All Canadian Boys Basketball Game on Mar. 31 in Toronto. The game consisted of the top 24 male Canadian high school basketball players. Coach Serresse coached some of the players on his team in the past and he has now established a little bit of a connection with them. “What’s fun is that even though I don’t see these kids very often, I see them every now and then when we’re recruiting. So you recreate a little bond with those guys over the summer. Every time we see each other, it’s all love. We all follow each other on Instagram and I follow their careers. Just seeing their growth is amazing. It was a blessing for me in terms of coaching the game,” he said. Coach Serresse wasn’t the only Golden Hawk at the game as fellow Hawk Chuder Teny also joined Serresse on the coaching staff. Teny is in his fifth year at Laurier and he played for the men’s varsity basketball team for all five years. He is now set to help Serresse coach the Laurier team this upcoming fall. “It was almost like an interview weekend with [Chuder Teny]. I was just observing how he was interacting with players, how he handled himself in practice and stuff like that. I already saw a lot of potential in terms of his ability to relate to players, gathering information for the staff, getting close with the players and creating trust. He didn’t know any of the guys on the team but it felt like he knew them. That’s a good sign for me,” Serresse said. Teny and the rest of the Laurier men’s basketball team had an outstanding 2018-19 season as they reached the OUA semi-finals. Under coach Serresse, the team has improved every single season and although the players have learned a lot from their head coach; Serresse has learned just as much from the players as well. “I have learned a lot from their honesty, commitment, trust and belief. They want it badly and that makes me want it for them. They trust me a lot and each and every year, they trust me even more. This season, we never had an instance where the guys would second guess what I said. As long as I’m confident and I believe in the system that I put in place, the guys will follow one hundred percent,” he said. After a season where the purple and gold exceeded all expectations, coach Serresse wants to take his team even further next year. Although a national championship may seem too big of a goal for this Laurier team to many, Serresse and the players believe that they can go as far as they want.